At the end of a meeting, most leaders know that they should recap next steps and determine who is accountable for each. As prescribed in the commonly used responsibility models — RACI, RAPID, and the others — accountability should fall to one (and only one) person per item, even if the work involved requires input and contributions from others. Unfortunately, over the years we’ve spent advising organizations, we’ve found that the word “accountable” can mean different things to different people. But what did Paul mean? Was Madison tasked with forming a team that should develop a consensus view on what the company should do in China, or was she tasked with making the decision and executing? Or was it something else? At the time, no one thought to ask or clarify. Madison went ahead and formed a team, which had several meetings. Three different approaches were suggested, and after weeks of deliberating the team still disagreed on the one to pursue. So Madison chose her preferred option, which she then relayed to Paul. Another team member — who had strongly backed an alternative course of action — got visibly upset, accusing Madison of “hijacking” the process and “imposing her view on the group.” Others felt alienated, wondering why their “rights” to being involved in the decision were seemingly ignored by Madison. Some wondered what the fuss was about — the team wasn’t making progress, so Madison simply used her prerogative to make a decision and move forward. Hearing the dissent, Paul decided to hold a meeting with the entire team so he could hear all the arguments and figure out a resolution. This left Madison completely demoralized; she felt Paul had lost confidence in her managerial abilities and had taken the decision away from her. Sound familiar? The problem, in our view, started at the moment Madison was named accountable. What was intended? What actual decision rights had Paul delegated to her, and was breaking the deadlock within or outside her purview? On one end of the spectrum is the Issue Owner. In this role the accountable person has complete control over an issue or decision. A full team may be assigned to help, but the issue owner can make the decision however she chooses. She can decide unilaterally. She can call one meeting or 10. She can solicit individual opinions or talk to some team members but not everyone. She controls the process and ultimately owns the final decision. On the other end of the spectrum is the Team Coordinator. In this role the accountable person is an equal member of the team with the added responsibility of logistics, such as scheduling and defining the agenda. She’s responsible for ensuring that there is a discussion but not for the outcome, and she has no more power or authority than anyone else in the room. If the team can’t come to an agreement, she can’t force closure — she must escalate the decision up a level. In the middle is the Tiebreaker. In this role the accountable person doesn’t have the absolute authority of an issue owner, but she’s more than just a coordinator. She is responsible for helping the team reach a decision, and in the absence of consensus she should make the final call. We don’t advocate for one position versus another. Different issues may call for different meanings of accountability in the same organization. What’s important is to ensure that everyone understands what it means in the specific situation — especially the accountable individual. In the case above, Madison assumed she was a tiebreaker or perhaps an issue owner who could try to build consensus. Some of her colleagues assumed she was a team coordinator, not authorized to break a deadlock. So the next time you delegate a task or decision, think about which kind of authority — issue owner, tiebreaker, or team coordinator — you are giving people. 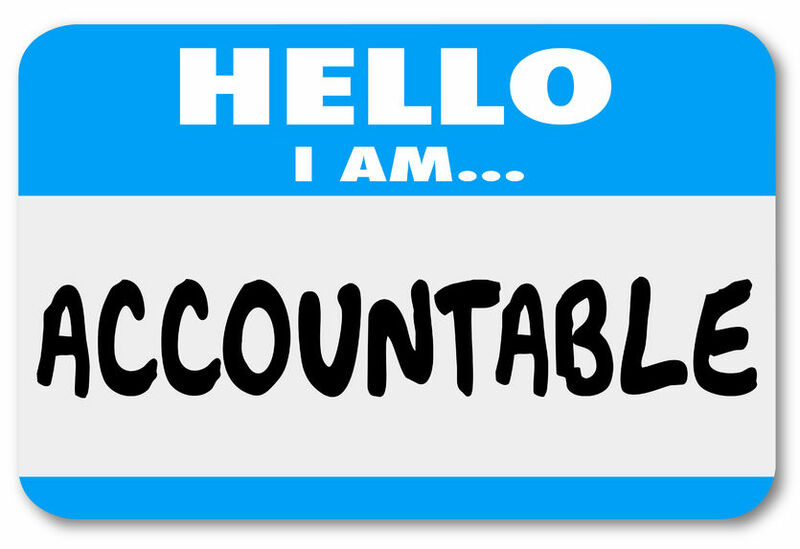 Being explicit about not just who is accountable but what type of accountability they have goes a long way toward preventing problems down the road. And if you’re the one being handed the accountability baton, make sure you are clear on what you’re receiving.